The Retail Solutions Providers Association (RSPA) announced new resources for VARs providing EMV solutions to their clients: an EMV solutions grid and the Merchant FAQ tool. EMV-certified solutions are now listed on a central grid, thanks to the Retail Solutions Providers Association (RSPA) and its EMV Committee. The grid, first proposed at INSPRIE 2015, can be accessed here. The grid lists solutions from left to right, and provides information on capabilities or features of the solution. It lists models of payment terminals, the PCI PTS version, contactless capabilities, kernel versions and kernel expiration date. It also provides information on card brands, POS terminal vendors, middleware, processors/gateways, date of availability and vertical markets. The grid is set to be updated monthly in order to allow RSPA members to stay continuously informed on solutions that can be offered to their customers. Companies that want to submit integrated or standalone products or professional services, can fill in the appropriate grid and submit to RSPA and RSPA EMV Committee representatives Ashley Naggy (ANaggy@gorspa.org), Amber Murdock (AMurdock@gorspa.org) and Beatta McInerney (beatta.mcinerney@scansource.com). 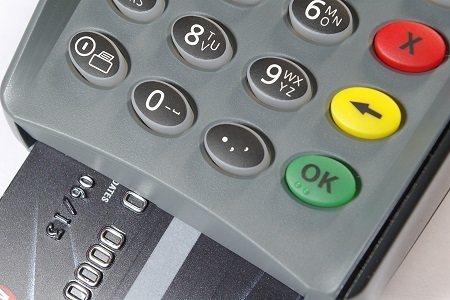 Another resource now available can help you answer questions from merchants on EMV. The Merchant FAQ tool can be found here, and it has been shared with RSPA by the EMV Migration Forum and Payments Security Taskforce. VARs can also visit GoChipCard.com for additional information.